Description: Finnegan Menton are proud to present this wonderful 3 bedroom family home in the ever popular Trimbleston estate built by Sorahan Builders in 2005. Finnegan Menton are proud to present this wonderful 3 bedroom family home in the ever popular Trimbleston estate built by Sorahan Builders in 2005. 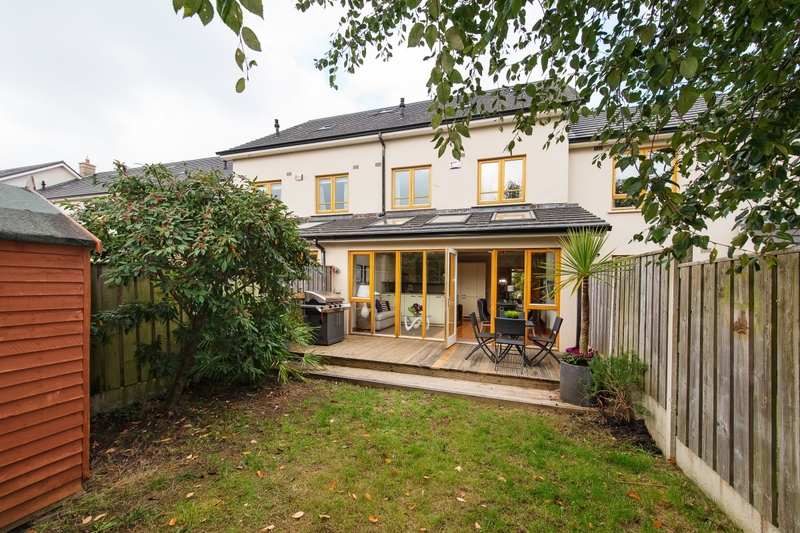 This home is laid over three floor levels and has an extended kitchen / dining area with a south-east facing rear garden. 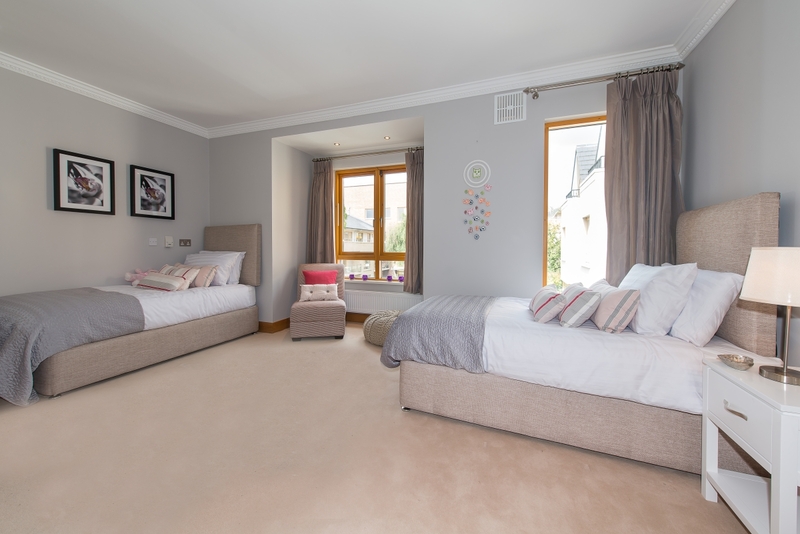 All bedrooms are very generous in size and have high quality fitted wardrobes. 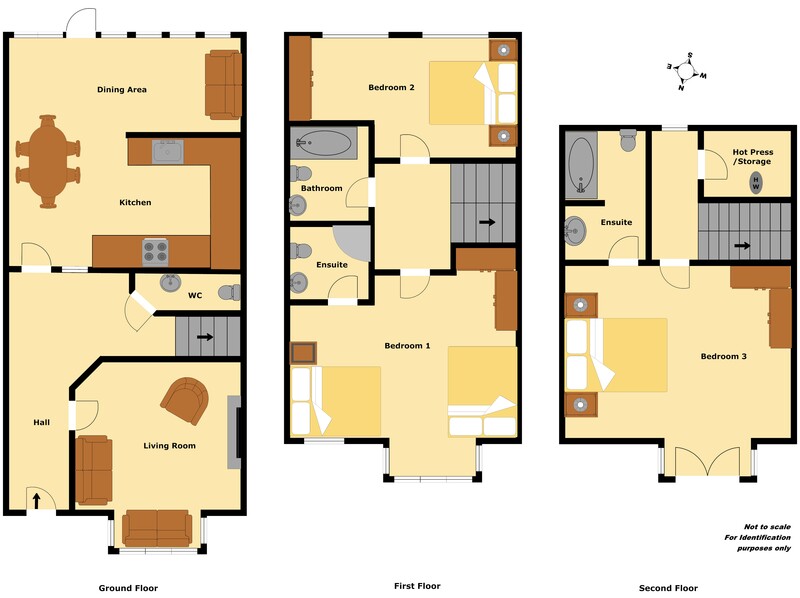 This spacious home extending to c.160sq.m. / c.1,725sq.ft. 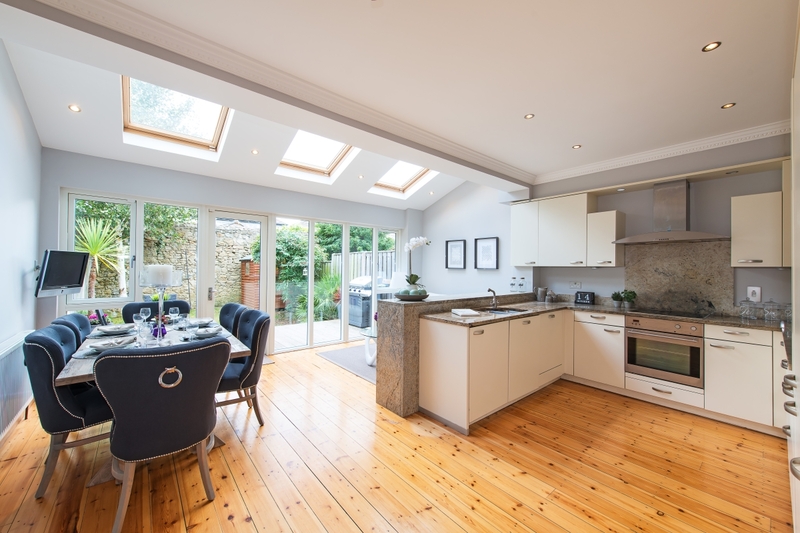 has a private parking space and has just been completely repainted throughout and is in fantastic condition with a luxury McNally fitted kitchen and high quality bathrooms. 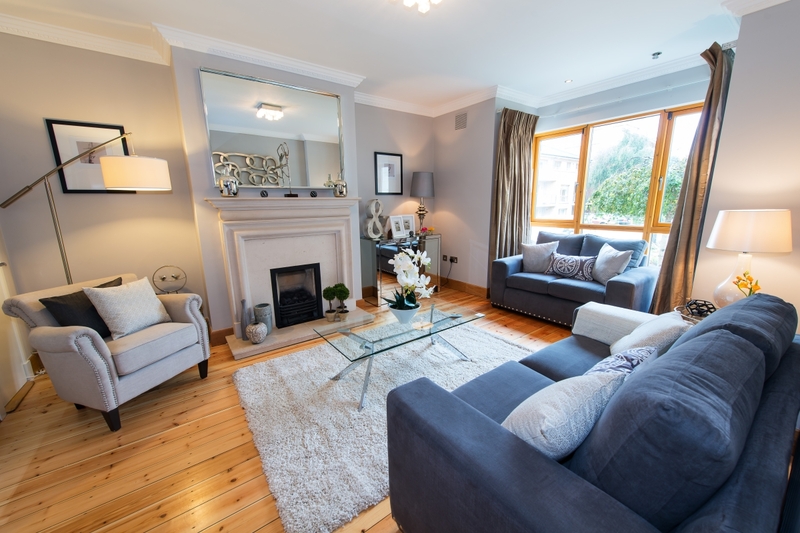 The Trimbleston Development on Goatstown Road is situated on a superb site bounded to the south by Willowfield Park / St. Aidan’s Drive and to the east by Heidelberg, Ardilea. Trimbleston is accessed via a new traffic signalled controlled road junction on Goatstown Road. 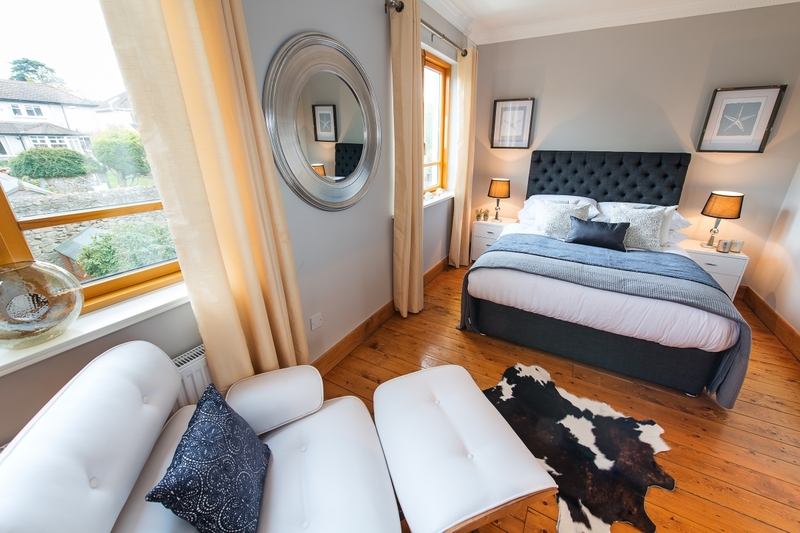 The development comprises a rich mix of apartments in mainly 4/5 storey buildings, duplex units in 3 storey buildings and 2/3 storey detached, semi-detached and townhouses varying from two bedroom to five bedrooms. 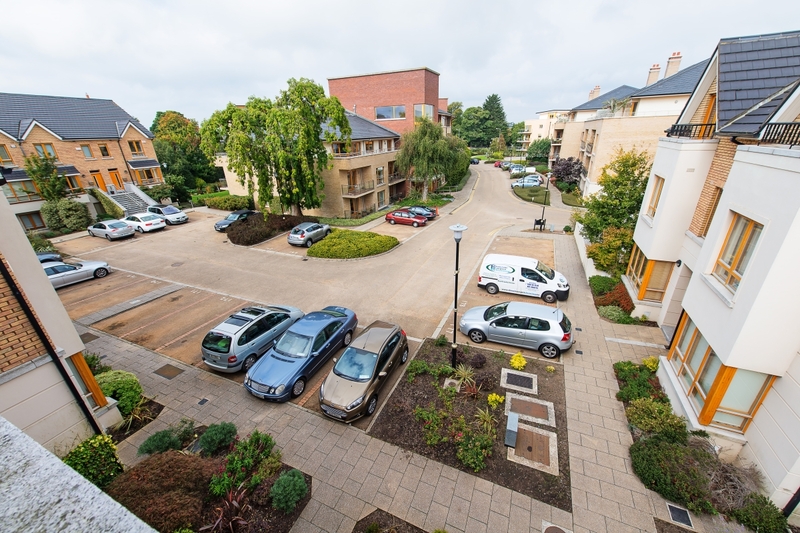 Trimbleston has been designed in such a way that the maximum number of existing trees have been retained and the site layout is designed to accommodate them in a large central landscaped space along with additional high quality communal landscaped areas close to each residential building. 174 Trimbleston is designed around a semi-private courtyard areas. 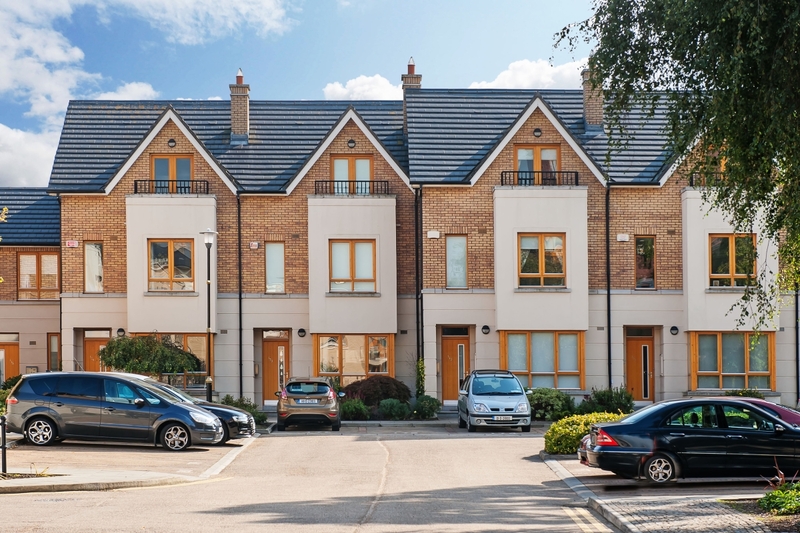 The Building finishes both internally and externally are of a very high quality and include brick & painted render external walls, varnished timber windows / doors and stainless steel balcony rails with stainless steel or glazed infill balustrade. Sorohan name is readily associated with the highest standards in construction, workmanship, specification, finishing and landscaping. 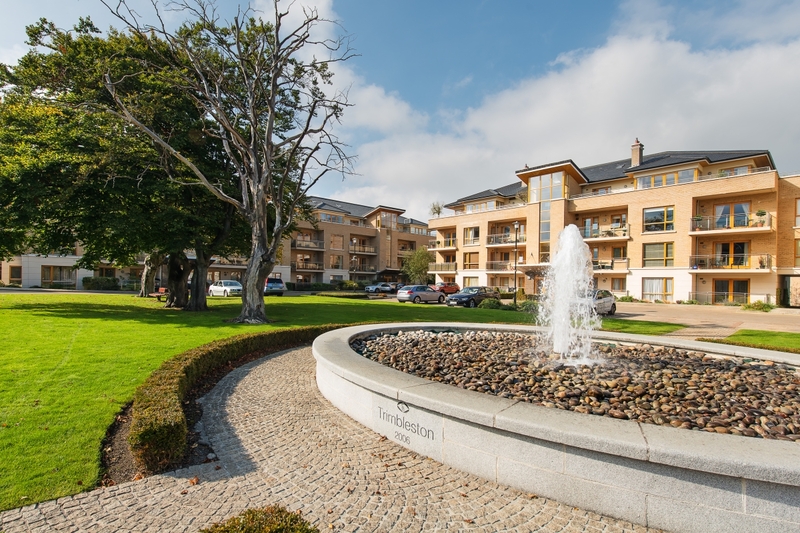 Their reputation has been built up over three decades during which time they have built many of the best developments in Dublin, stretching from Malahide on the northside to Sandycove on the southside, the latest being Rockford Manor, Stradbrook Road, Blackrock, Elton Park, Sandycove, Holywell, Upper Kilmacud Road and Abbeyvale, Botanic Avenue and Drumcondra. They won their first ‘House of the Year’ award thirty years ago. Sorohans are renowned for their attention to detail and the achievement of the highest quality in every aspect of their buildings and surroundings. 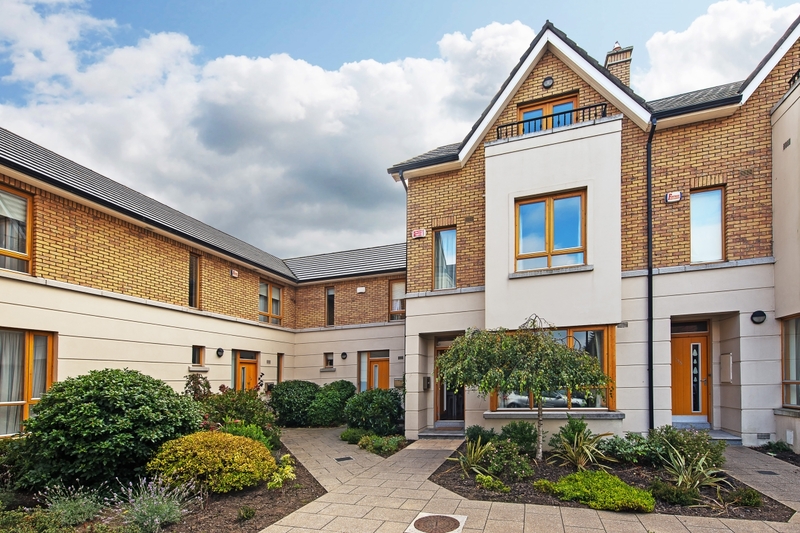 Situated off the Goatstown Road in between Clonskeagh and Goatstown. Close to all possible amenities. 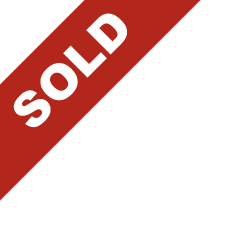 Transport – direct bus routes to city centre. Closest Luas Stop is Kilmacud (approx. 1 mile). Schools & Universities – Mount Anneville, St. Benilda’s, Blackrock College, UCD. Shopping Centres – new Dundrum Centre, Stillorgan. Leisure – Gyms, golf and tennis. Goatstown is well connected by road, rail and bus to the city centre and beyond. 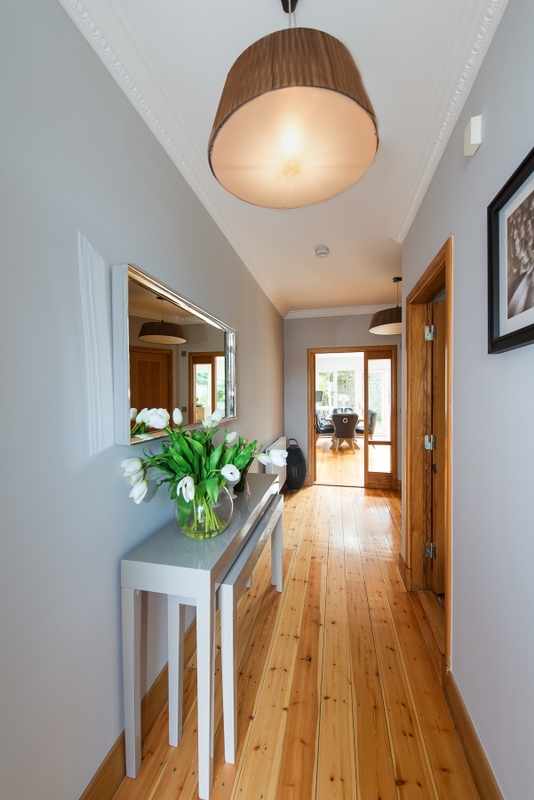 The local Luas stations are situated in Windy Arbour and Kilmacud and connects to St. Stephen’s Green in just 15 minutes. The regular 11 bus route also takes you to the city centre, whilst the M50 is situated only short drive from Trimbleston. Timber floor, alarm panel, coving, light fittings included. Limestone fireplace with gas fired inset tv point, timber floor, bay window, under stair storage cupboard with wine racks, coving, light fitting and curtains included. Luxury McNally fitted kitchen units with granite worktops. All appliances including Kuppersbusch Okotherm cooker, Sieg stainless steel, Kuppersbusch integrated fridge freezer, Bosch integrated dishwasher, Kuppersbusch combi washing machine / dryer, Daewoo microwave. 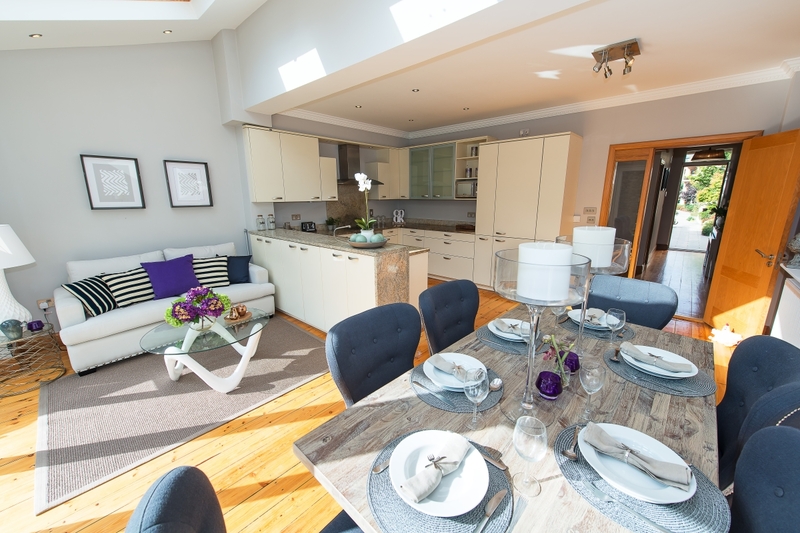 TV & telephone points, 3 large velux windows makes this room very bright and spacious, coving, recessed lighting and light fittings. 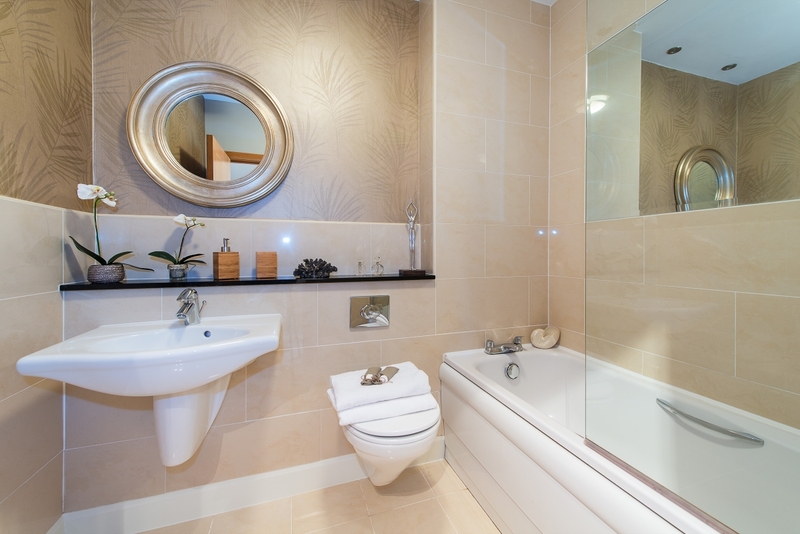 White suite comprising wc & whb, wall and floor tiling, mirror included. 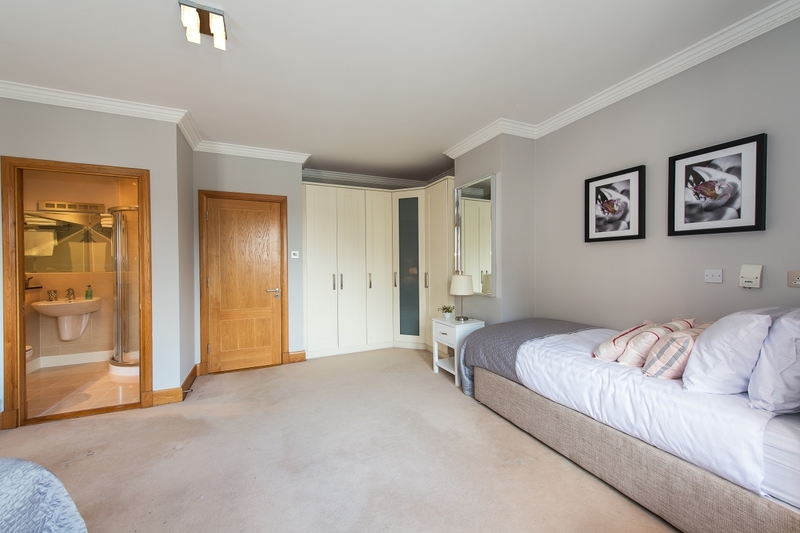 Large double bedroom, fitted wardrobe, bay window, light fitting & curtains included, cream carpet, tv & telephone point, coving. 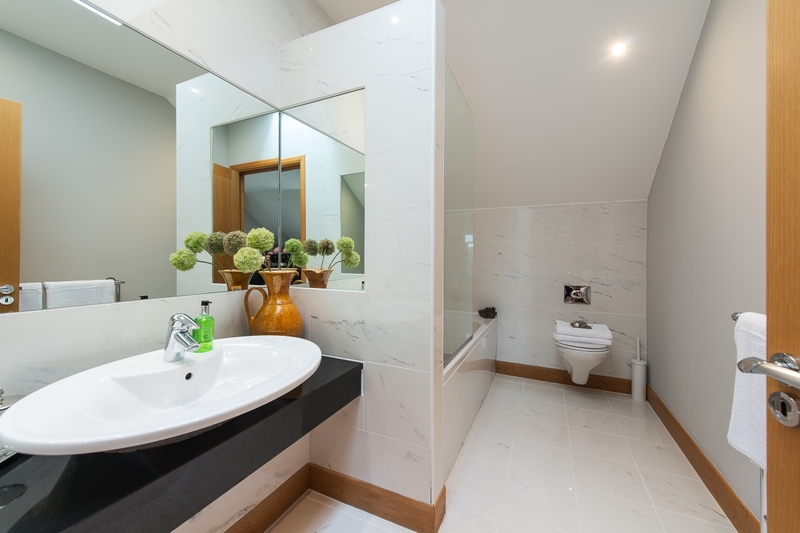 Luxury white Grohe bathroom suite comprising wc, whb, shower with glass door, wall and floor tiling, marble shelf, shaving light, chrome towel rail, wall mirrors. Luxury white Grohe bathroom suite comprising wc, whb, shower with glass door, bath, wall and floor tiling, marble shelf, shaving light, chrome towel rail, wall mirrors. 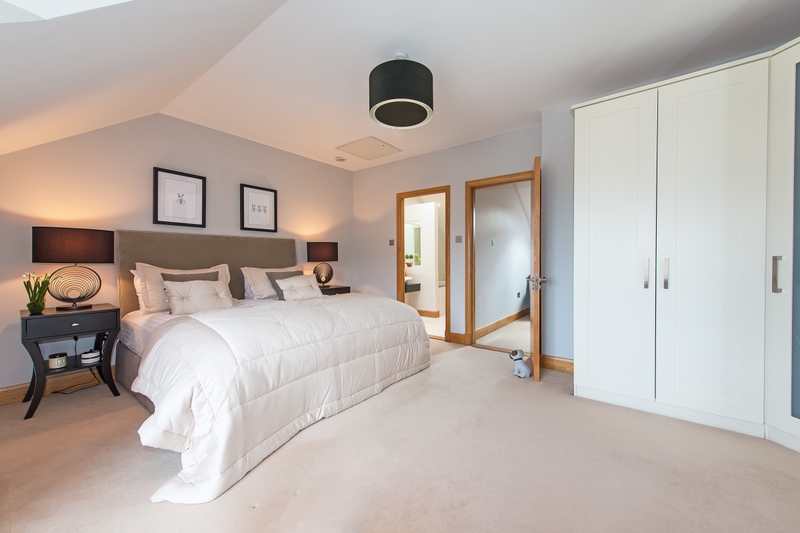 Large double bedroom, timber floor, fitted wardrobe, telephone & tv points, thermostat control, coving, curtains included. 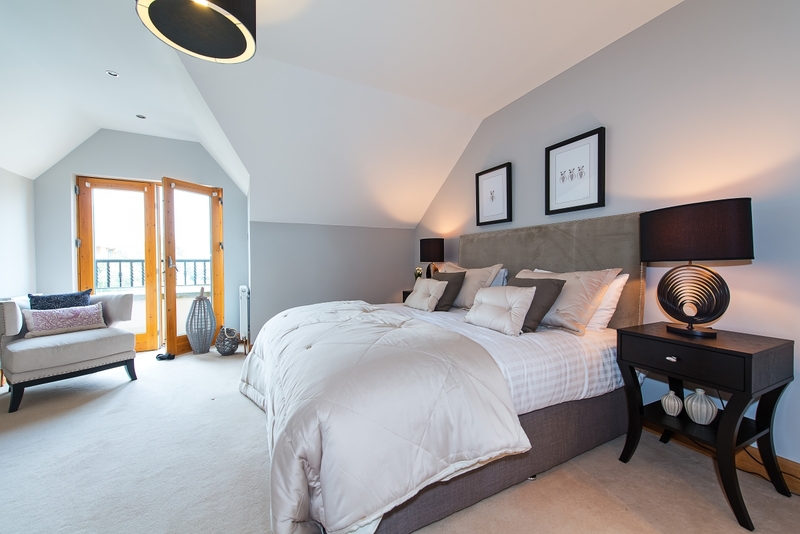 Large double bedroom, fitted wardrobes, cream carpet, tv & telephone points, balcony doors to small roof balcony. Large ensuite bathroom comprising wc, large whb, bath with shower and bath screen, wall and floor tiled, chrome towel radiator, mirror. Large walk in hotpress with insulated tank, shelving & gas boiler, further storage press in landing area. 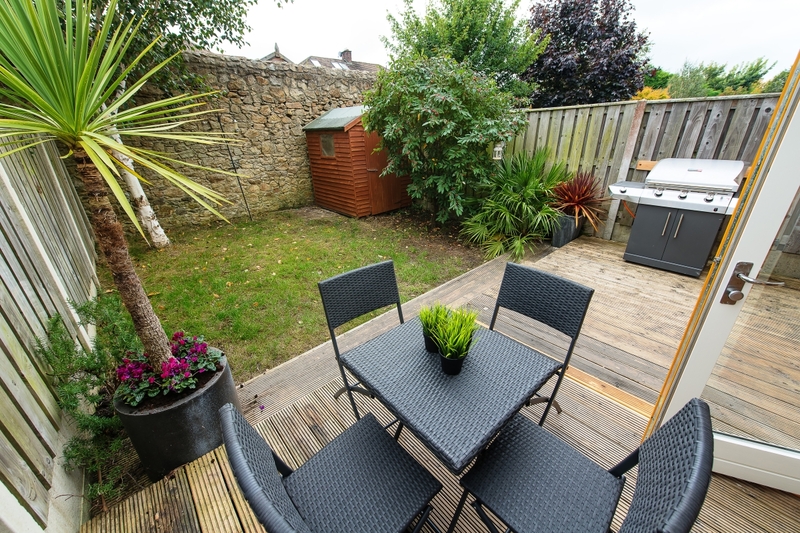 Parking and south facing garden. Luxury McNally fitted kitchen with granite counters. Private development of luxury homes. Villeroy & Boch bathroom sanitary ware. 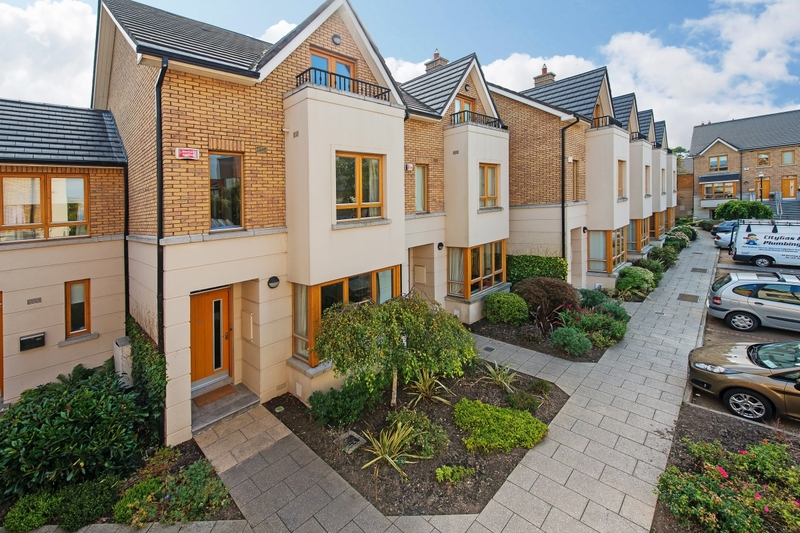 Extensive landscaped open space areas with walkways through parklands and woodlands. Water fountain feature in grounds. Completely repainted in high quality neutral colour throughout. Coming from Donnybrook pass Riverview gym and leisure centre, take a left at the end of the road onto the Clonskeagh Road. Pass the mosque on your left hand side and go through the next set of traffic lights. Trimbleston is on your left hand side after the lights. Management Agent: To be confirmed. Management Charge: €657 per annum.